With the season reaching its climax, titles are being clinched and issues of promotion and relegation are being settled. We've probably all seen by now that Manchester City were crowned Premier League champions again on Sunday and barring any spectacular collapses, the top four clubs look pretty settled too. Chelsea and Arsenal will still want to finish as high as possible and still have cups to win so the air of gloom coming from many of their supporters is a bit bemusing to the rest of us. At the other end, Crystal Palace and West Ham look like they're probably going to survive so all in all it looks like being a pretty positive one for London's top flight sides. It's a huge week in the Championship with our four local sides playing each other in a couple of cracking derbies - both are close to selling out with Millwall v Fulham looking like an absolute cracker on Friday night. In League One and League Two - Charlton, AFC Wimbledon and Barnet face a frantic finish as they scrap for every point in the battle for a play-off place or to avoid relegation. There also looks set to be plenty of drama in the National League too where Sutton United and Boreham Wood should make the play-offs but Bromley and Dagenham & Redbridge have an outside chance too. Dartford are involved in a thrilling fight to the finish with Havant & Waterlooville in the National League South title race whilst it was very pleasing to see AFC Hornchurch and Carshalton Athletic both confirm automatic promotion from the Bostik North and Bostik South on Saturday - many congratulations to them. On Saturday I finished work earlier than expected and headed out to the suburbs with a colleague to watch Harrow Borough take on relegation threatend Tooting & Mitcham United in the Bostik Premier. The Terrors won promotion last season and many thought they would comfortably hold their own but it hasn't proved to be the case and they've been down at the wrong end of the table for most of the season. In recent weeks they've slipped to the very bottom but with only one team going down this year because of restructuring they've stayed within touching distance of safety. As a result of problems on the Central Line, I missed the first 15 minutes and heard Harrow score the opener as I approached the ground. The rest of the half wasn't a classic with few good chances at either end. With Harrow already safe in the division for another season, I was impressed with how disciplined and determined they were particularly in defence as they thwarted the growing number of Tooting attacks after the break. Eventually an equaliser came and it was stunning, lashed into the top left corner from distance to spark wild celebrations from the travelling support, some of whom ended up on the pitch! Two further fantastic chances fell to Tooting in the closing stages but a combination of brilliant goalkeeping and some spectacular last-ditch defending kept them out and it ended 1-1. With their main relegation rivals Burgess Hill losing at Leiston, Tooting climbed off the bottom and now know a win in their next game against Harlow could be enough to keep them up. 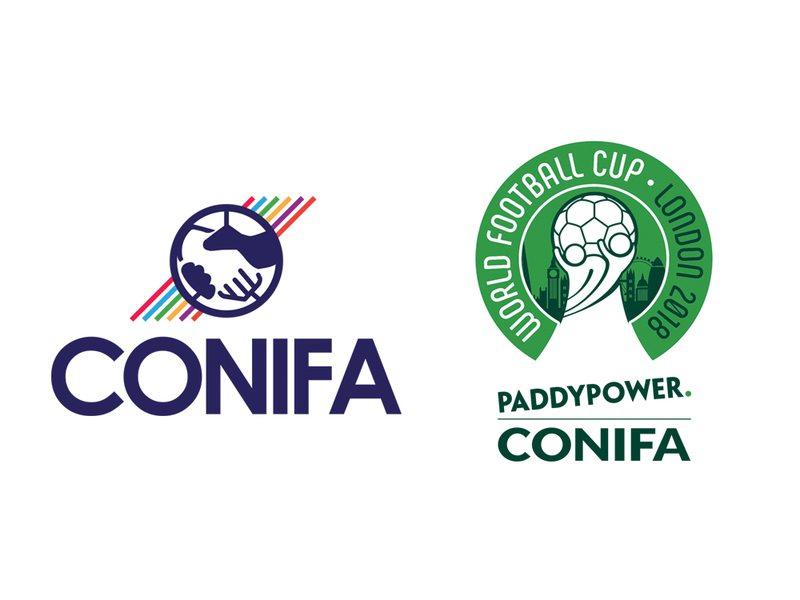 Since I last wrote, the build-up to the forthcoming CONIFA World Football Cup here in London, has continued. The big news this week was that Enfield Town will host the final on 9 June. A number of teams have also released their kit designs which are pretty decent and are on sale now providing, in some cases, funds for teams to travel to the event. You may have noticed that a friendly between CONIFA members Barawa and Yorkshire took place at Haringey Borough's ground on Sunday. Yorkshire only formed a team a few months ago and ended up winning 7-2. We're also lucky enough this week to have another video piece from our friends at 'Two Men In Search Of The Beautiful Game'. 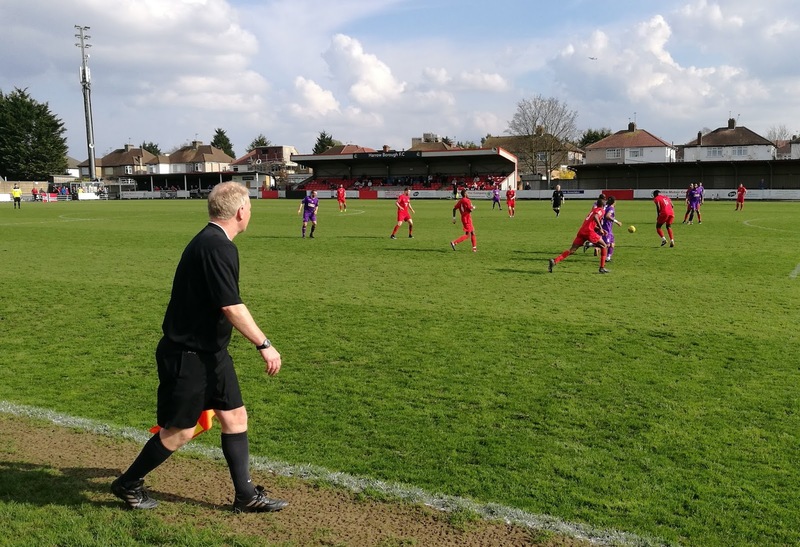 This time, our intrepid duo went to the wilds of north London to see Bostik League club Haringey Borough continue their promotion push against Mildenhall Town. There are over 100 matches in the London area over the next seven days. The highlights include some big games in the FA Cup, Premier League, EFL and National League and there also some important county cup matches too. Manchester United v Tottenham Hotspur @515pm - the biggest match of the week takes place at the supposedly neutral venue of Wembley Stadium but with Spurs playing their home games there they should have a bit of an advantage. Both sides had disappointing weekends and both have to play midweek away games ahead of this one so neither will be particularly rested. Apart from Arsenal, these two are the most successful teams in the history of the FA Cup but I still find it very sobering, as a child of the '80s, to get my head around the idea that Tottenham haven't won it for 27 years - they seemed to do it all the time when I was growing up!